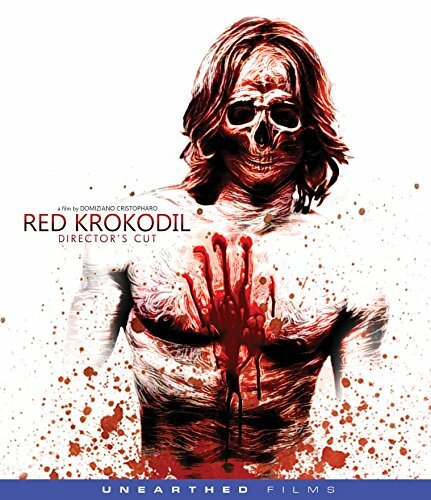 A 90 minute spiraling descent towards despair, Red Krokodil is a difficult - emotionally battering - journey to trudge through. Deeply ponderous, and unrelenting in its insistence to dig and explore every level of its drug fueled nightmare, you almost feel as affected by it as the krokodil addicted man in the film. I honestly couldn't wait to be released from its clammy grips. 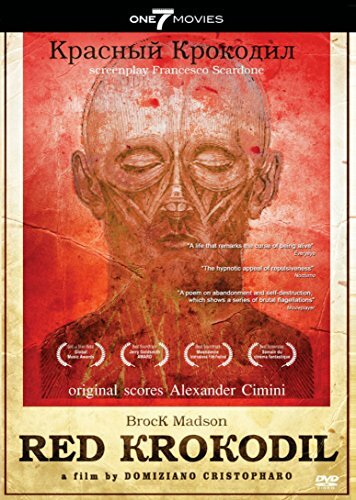 The approach to narrative is mostly unconventional, Red Krokodil sometimes comes across as a pseudo documentary peppered with experimental art house flavoring. There isn't much in the way of dialogue (sporadic narration detailing life's regrets or recalling happy memories) and exposition is kept to a minimum (a scrolling wall of text at the start of the film, introduces you to the titular drug itself). Really, it's just us - the audience - watching this nameless man as he's pulled deeper and deeper into an inescapable vortex of physical oblivion. The process itself is a painfully slow disintegration, one which persists until nothing is left but the pulpy mass once held in form by the fizzling, rotting organ that used to be skin. But there are moments of reprieve, even if fleeting; mental refuge, constructed and escaped to by the dying man, found in the deepest regions of his mind. Tragic though, given these are same areas in which his demons reside. So we're snapped back to a post-apocalyptic hell, ripped away and forced awake to witness a very grim reality. Death it seems, is the only real escape - what a drag. There is very little dialogue in this film, and I think that was a smart move. It made the ambient sound, more enveloping and interesting, and it also made the quietness - which surrounded the film's central character - more creepy. The acting was good, very believable, and why I was able to focus and stay with the character throughout the entire film. The dark and grayish tones which made up Red Krokodil's aesthetic, worked well and added even more to the feeling of being in a small space, all the while making you feel as though something was eating away at your brain, compromising your mental state. This is a film that took me on a roller coaster of emotions; it kept speeding up until the very end, at which point - when I was finally allowed to leave, there was no question that I had been put through a very intense ride.